It’s been a year of two halves. The first half consisted of the most painful months in my running “career”. It took me ages to recover from a combo of shin splint and ankle impingement caused by pushing a bit too much at the end of 2015. The second half has been a much more enjoyable combination of experiences, from being able to run again, trying new races and doing some pacing for friends. Still convinced injuries go away if you ignore them I tried to run, but every time I did I had to stop for a day or two. I only clocked a total of 60k in a month and the pain was still there. I started going to see a physio and he slowly managed to get me better and better. I spent every evening doing at least 45 minutes of strength training for my feet, shins and core. I even got to run almost 18k in one go. I thought the future was going to be bright. I gave up with running. For every step forward I was doing two backwards. The pain was still too unbearable. I decided to do something else and started cycling or swimming every day. I even went to the gym on Friday mornings for classes of Boxercise (killer but fun). More cross training and hiking. More cancelled races. Gave up on doing the Centurion 50 milers Grand Slam. Very sad. The last weeks of April I was starting to feel like I could run again and started cycling to Richmond Park, run a bit and then cycle back. At the end I was doing more than 50k a week. I was back! I was a runner again! Weeks of: 56k, 66k, 77k and 91k! I dedicated my time mostly on improving my form to avoid getting injured again. I was finally running more than 100k a week. 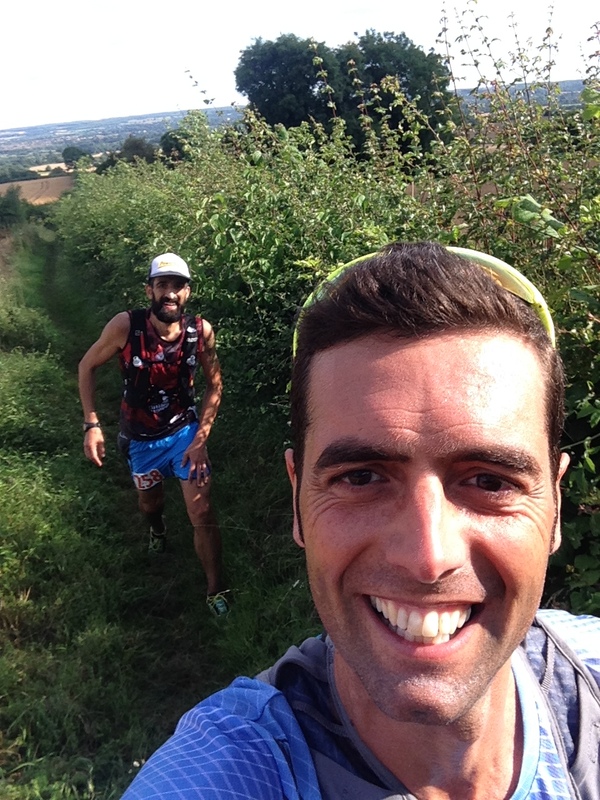 I paced Manu on his first 100 miler, the SDW100. I ran 62k that day and it was probably the best running experience of the year. Going through the night on those beautiful hills, seeing the sun come up and with it Manu’s morale and speed. Being there when he crossed the finish line, I still get goose bumps now thinking about the last 5k of ecstatic running. I was finally ready to do some racing myself. So I did the North Downs Way Marathon one weekend and the Chiltern Challenge 50k the week after. I suffered a lot in both but really loved being back wearing a bib and those hours spent on the Chiltern Hills were worth all the pain. I spent the last week in Puglia where on a normal day it was 40 degrees. I ran almost every day but not more than 10/15k. Even at 6 am the heat was too much. August was a busy month. 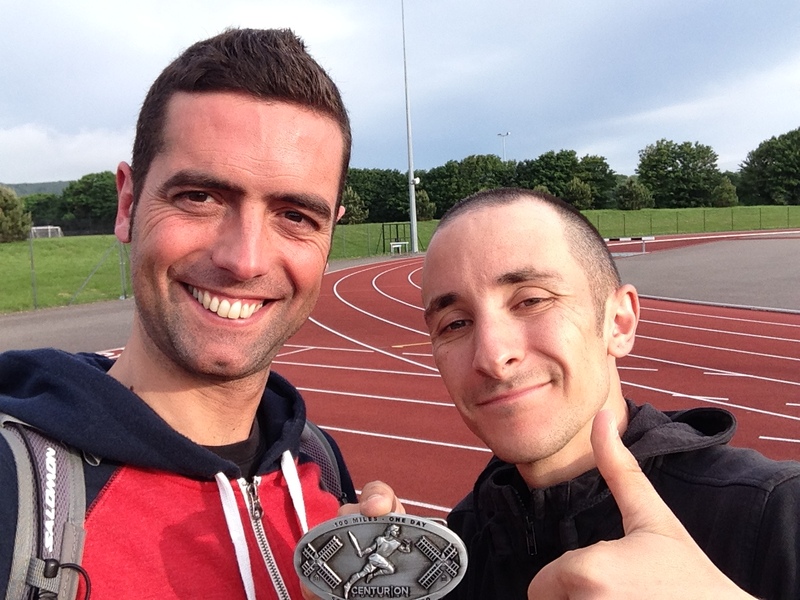 I paced Davide on the NDW100 but unlike my previous pacing experience, I felt I was not that useful. I also ended up not running the full 50 miles I promised him but only 41k in the middle of the race and the last 12k. It was still fun and a good lesson for me. Then at the end of the month I went to the Peak District to run the Dig Deep 50k. I ended up running 55k as I got lost. To date, this is the race I suffered the most, mentally and physically. Beautiful places, though. I ran the Centurion Chiltern Wonderland 50 mile which was probably the best race experience I ever had. I paced it to perfection and basically ran it all (apart from the craziest hills). Beautiful. I ran the Wimbledon Common Half Marathon finishing 7th overall but with my slowest time on this race I have now done three times. A lot of fun, but too muddy to try and do a PB. Another trail half marathon: the Dirt Running Half. A lot of fun, first part fast, second part hilly. I finished 15th overall but 1st in my age group. Nice. 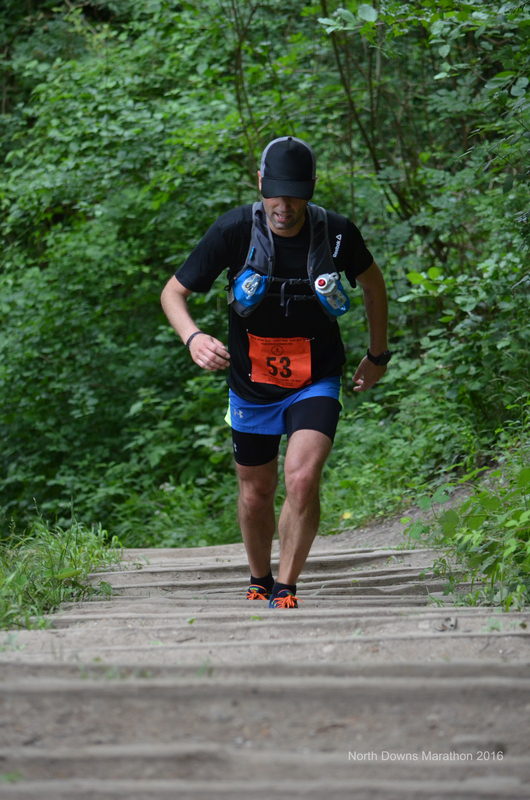 At the end of the month, I ran the Centurion Wendover Woods 50 mile. Very interesting experience, five laps of killer hills. It’s been a mental journey from start to finish. I cannot wait to go back next year. I took this as a “month off”. I did not run too much the first three weeks. Mostly 40/50k a week. I did a Parkrun that killed my legs and was more than 20 seconds slower than my PB from last year. In the last week I ran again almost 100k, to get back into action and start with the real training in January. Overall the second half of the year has been very good. Being able to run again after so much time injured has made me appreciate the sport even more. I feel very lucky every day I can go out the door and enjoy running, whether on the road or the trails, I love it all. I only noticed today I was given the wrong medal at the Chiltern Challenge, it says 25k! Stay tuned for a future post with my plan for 2017, it will be a super running year!